First, I want to tell you about a great hockey movie I saw recently. It was about a right-handed centerman who overcame personal challenges whose love for the game was challenged while trying to adapt to playing on a new team in a new city – a story that any player could learn a thing or two from. The movie’s name? 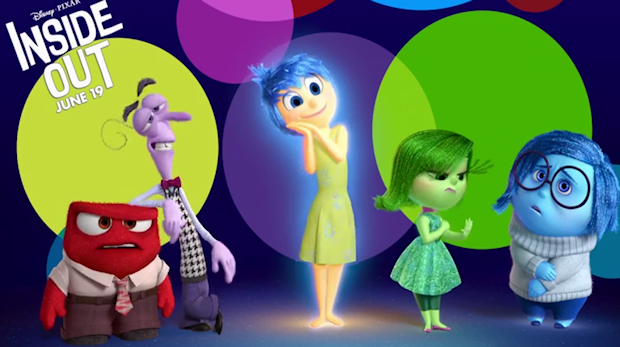 Inside Out, the Pixar children’s movie. Now, you could say that Inside Out is not really a movie about hockey, but I’d argue that it is as noteworthy a hockey movie as Slapshot, Miracle or Goon. Inside Out is a must-watch for kids because it shows that it is okay for girls to want to try hockey, and for boys to talk about their emotions. But Inside Out can also be an important movie in helping adults involved in the game (fans, analysts, journalists, players, coaches and managers) to better relate to one another. Anger is the career enforcer, who sees his livelihood threatened by a new, different understanding of the game. It is also the stat-savvy fan, who sees his favorite team employ and deploy players who do not drive results on the ice. Fear is the analytics-adverse head coach, who neither has the time, energy or patience to dive into a field he is wholly unfamiliar with, but which is increasingly driving the decision-making of his bosses. It is also the Average Joe, who’s not so savvy with numbers, but just likes to plop down on the couch with a six-pack to see big hits and big goals. Disgust is the analytics blogger, who deals equal parts in stats and snark when exposed to methods and conclusions which don’t agree with his or hers. It is also the big-time sportscaster, who think he knows best simply because he was there first. For me, by far the most rewarding part of the analytic process is identifying a Garret Sparks, or Moneyball’s Scott Hatteberg – that underrated, overlooked player everyone’s counted out. There’s a player like that on every team – whether in the NHL, the AHL, women’s high school hockey, or in a sledge hockey league. Finding that person…is finding Joy. Joy is Anton Stralman anchoring one of the best defensive pairings in the league after four NHL teams decided they just didn’t need him, or Lee Stempniak getting one more chance to make a difference on a team that needs him to play his game. Joy is Mike Condon (undrafted college UFA) and Jonathan Marchessault (under-sized minor-league scorer) getting a chance to prove themselves in the NHL after years of excellence playing at lower levels, even if they don’t fit the mould of what an NHLer should look like or be like. Joy is sitting down with a coach who’s not sure that a certain player can play within his system, but letting him know that this player is actually thriving right now, because the pitfalls he sees in him don’t actually matter. Joy is everyone involved with giving Garret Sparks a chance to pitch a shutout in his NHL debut – the management staff who identified him, the coach who played him, the teammates who supported him, and, of course, Sparks himself, who put so much work into making his dream come true.